Content is an integral part of your online business’ success. You can generate three times more leads and spend 62% less compared to outbound marketing. However, you can’t just hack out content and expect people to flock your blog. You need to approach content creation with gusto. By creating quality content, you can achieve the figures stated above. In this post, I will detail you the exact steps on how you can create content that your readers will love and convert your target audience. Creating it to do either one is great. But is there a good reason not to get around to both? So, choose your words. And this means finding a keyword with high search volume and low competition. Using keyword research tools like Ahrefs will make it easier for you. Here’s how you do it (with “blogging tips” as the sample keyword). First, visit the tool’s website and sign in to your account. You’ll need to shell out $7 for a 7-day trial. I know it’s a strange practice to have people pay for a trial of your product, but not all products are like Ahrefs. Trust me, it’s going to be worth it. Once you’re logged in, go to Keywords explorer and search for “blogging tips”. From the results, you will see an overview of the keyword. This includes keyword difficulty, search volume, and traffic potential. Now, turn to the left and click search suggestions. This lets you view all keywords related to your search. Browse through the list to find the best keyword. Remember to focus on those with high search volume and low competition. You need to create content that people will want to share. Doing so gives you exclusive access to lots of potential traffic. It’s also one of the best ways to improve your rank on Google. To show you an example, let’s pick up where we left off with the same keyword used in the previous step: blogging tips. So first, go to Ahrefs’ Content explorer and search for “blogging tips”. It will then provide you with a list of the most popular content for your keyword. In this case, you can view the most popular content for “blogging tips”. And they are the most shared posts on Twitter, Facebook, and Pinterest. And the reason why it’s one of the most shareable content is no mystery at all. If you’re wondering why, let me fill you in. Its title contains a number and straightforward message. So, who wouldn’t want to click it to check out the article itself? The article contains 3,447 words! Of course, readers pay more attention to it. It’s likely informative, well-researched, and in depth. Did you know that at least one image can help an article get the “shareable content” badge? Well, the number of images in the post doesn’t go below 10! This Q&A site is a power player! It’s the perfect venue to get questions you can feature in your article. And these questions are “the hot stuff” because people are in dire need of answers. Now, there are two ways to unleash Quora’s potential. The first one is the old-fashioned approach. First, go to Quora and search for “blogging tips”. You will then see a list of results. Choose the best one to use for your article. It will make your life much easier. For example, let’s go with the first question. What is the best blogging tip site for a blogger? What you do is feature this subject matter on your article. Here is an example of an outline that features that. While searching on Quora is easy, why not make it even easier for you? If you’re looking for blogging tips in general, give me a shoutout. You can peek at my Quora profile to see the questions I’ve answered. The second way is to reverse engineer the process! Instead of searching for the answers, go to the answers! Start by finding out who the influencers and subject matter experts are. And look at their answers. Don’t know how to find influencers on Quora? Lucky you, Phantombuster is a tool that can help you out with this. All you need is to choose a Quora topic. Then it will discover influencers for you! Pinterest is the place to be for this. Featuring infographics is a genius move. After all, 100% of businesses can gain from them! They are visually-appealing and easy-to-scan. Plus, their viral capabilities can increase brand awareness and generate lots of traffic! Want a simple lesson on how to do this? First, go to Pinterest and search for the infographics you want. In this case, I searched for “blogging advice infographic”. You will then land on a page with a gallery of infographics! From the results, turn to the most attractive one for you. In this case, I will go with this. Then click it for a larger view. To use it, click Send. Now choose how and where you want to share it. This will help increase the dwell time of your visitors. If you have an interesting video for them, they will watch it! Take it from 80% of marketers who already pulled it off. This time, YouTube is the place to be. It’s where you will find relevant videos you can embed in your posts. Go to YouTube and search for relevant videos. In this example, I’ll search for “tricks for bloggers”. From the list of results, click the one you think is best. I’ll go with this one. It’s Neil Patel’s 7 Blogging Tips That Will Make Your Blog Successful. Below the video, click SHARE. This will open a window that presents sharing options. Highlight the code and click Copy. Paste the code into your article on WordPress. If you’re using WordPress’ visual editor, all you need to do is paste the code/link. And it will automatically convert into a watchable video. Be ready to support everything you’re saying. This builds trust and helps establish rapport. This also lets you barricade yourself. You need to watch out for people who might rush to you with questions – or worse, attack your credibility. You can do this by turning to well-known and honorable sources. Check out how I did it in the previous point. I mentioned earlier that 80% of marketers turn to video to help increase dwell time. So, save your questions if you have any. You can learn the facts yourself by clicking on the link I gave. “They’re people who have consistent access to a massive audience of consumers. That’s according to Neil Patel in his post: How to Connect with Rock Stars. And it’s inarguable he’s one of the biggest influencers in Digital Marketing. He doesn’t doubt the effectiveness of influencer marketing. So you will want to feature influencers to get the ball rolling for you and more! Think of an influencer as a big brother. Like a big brother, an influencer will also be there for you. He will also have your back and help you build yourself. But, avoid rushing the process. You need to be careful when choosing an influencer. Remember, not all influencers can benefit you. Go with the good ones. You can do that by checking their profile beforehand. And from there, assess whether they are a good fit. Some variables you need to look out for are Domain Authority, Page Authority, and Reply Ratio. Get a handle on the number of their Twitter followers and Retweet ratio, too! To start finding influencers, a tool like BuzzSumo will help you out. First, click on the Influencers tab on your BuzzSumo account. On the search bar, search for the kind of influencers you want to work with using relevant keywords. In this example, I will use “blogging”. I chose it as a search term because I want to reach out to blogging influencers. From the list of results, refer to the variables mentioned above. And take your pick! Now, it’s time to begin stitching pieces of information. From what you uncovered, create a rough outline. Emphasis on rough because this outline needs to be flexible. It’s how you can apply the necessary changes later on. Use it to present a general overview of how you should proceed with your article. Why are you writing this particular article? What is it for? It’s a great thing you can use a tool to help you write outlines. A great thing about using WorkFlowy is its simplicity. It’s flexible and easy-to-use, too! Plus, it gives you this ability to zoom and expand items. This means that you can work on both micro and macro tasks! You can use it how you want. You can build an outline from scratch. Or, you can craft one on the go. Here’s an example. I’ll go with the keyword “easy blogging methods”. And I’ll use it as a title with 4 sub-headings. If you click the bullet point, it will expand a subheading. This will lead you to another section. There, you can choose to add other sub sub-headings. To show you, I added a batch of sub sub-headings under “Single Topic Blogging.” I created 5, to be exact. If you want to expand the latest batch of sub sub-headings, go ahead. Follow the same process. And if you want to make your way back to the previous headings, you can do that, too. All you need to do is click on the title above. It’s where your first chance to steal your readers’ attention lies. Sure, more than the majority will give your headline a chance. In fact, studies say that 8 out of 10 people will read headlines. But, only 2 of them will read your content! So unless you make an impressive headline, not a lot of people will check out the rest of your article. Craft headlines that are too awesome to ignore. If you make it happen, conversion rates will go up by 127%! Here’s how. This is a breakdown of Neil Patel’s How To Create Headlines That Get Clicks. Identify a problem. Acknowledge something relatable. This is how you hook people who are going through this problem. Write a sub-headline. Provide the solution to the problem you identified! Create intrigue. People are born curious. So make them! Test it. Craft variations of your headlines using tools like Crazy Egg. Then take them out for a spin to know which variation converts the best! Now, let’s apply two of the points above and write a click-worthy title of our own for the keyword “blogging tips”. It’s where you give people a good grasp of the rest of your article. And it’s where you can give them a reason to read further. Don’t make your introduction boring. If you do, you’re conveying the message that the other parts of your article are also boring. So, don’t go for boring. Neither should you go for pointless nor unimpressive! How can you approach this then? Well, The APP Method by Brian Dean can show you the way! APP stands for Agree, Promise, Preview! It’s a formula for creating outstanding introductions. And it helps makes your content purposeful. First, get your readers to agree with you. Getting them on the same page will let them know that you understand them. This assures them that you’re going to make things better for them. Finally, give them a preview. So, let’s apply the principles. And create an intro for our article. It’s a compelling intro because it stays true to The APP Method. Let’s break it down. First, you get your readers to agree with you. And here goes the preview. Grabbing stock images on sites likes Pixabay won’t do you any good. They provide little to no value to your content. Instead, design one using Canva. It’s FREE and EASY! Here’s a step-by-step tutorial. Let’s use our sample title in this. Then, click Create a design and choose what you want to make. In this case, let’s go with Blog Banner. Now, choose a template. Let’s go with one that says ZIMCORE HUBS. Next, edit the texts. Type in your heading. It’s Blogging Tips You Don’t Know Yet here. Then enter your sub-heading. It’s 5 Tricks You Will Learn Here. After you hit Download, you’re all set! It will help your readers get an overview of your content. With a ToC, you’re handing them the chance to jump to a section of your post. All they need to do is click a part of it. And voila! They are right where they want to. So, how do you include a ToC? You use a WordPress plugin! First, you need to install and activate the plugin. Then, go to Settings>Table of Contents. You will then get to a page that allows you to customize your TOC. You can tweak its general settings, position, and appearance. You can also configure the Advanced section. You can configure all settings according to your liking. But pay close attention to the Auto Insert section. Make sure you tick some checkboxes. Particularly, you need to enable the auto-insertion of posts and pages. It will make your content easy to understand. If people can visualize what you’re saying, they can hear you better. And your words become more effective! Especially if you’re creating a how-to post, screenshots are essential. This also applies to technical articles. To make your life easy, turn to the Evernote Web Clipper. It’s a screen capture tool. It lets you choose which format you want to use for clipping items. Your choices are between article, simplified article, full page, bookmark, and screenshot! There are many reasons why you should go with it! A wall of text is the last thing you need. It drains the life out of your content – and your readers! Not only is it uninteresting. It also makes information difficult to read. So, what if someone wants to access INSTANT information? If so, your content should not be their first stop. Or second. Or third. In fact, it will be in their best interest to stay away from what you cooked up. So, combat this by breaking down your content. Shorten your sentences and paragraphs. The shorter, the better. If you’re not yet familiar with bucket brigades, then it’s time to get on board! Sure, they may be old school copywriting approaches. But that doesn’t mean they are not as effective as modern-day techniques. So in a nutshell, Bucket Brigades are those words that get people to stick around. Because you want people to stick around, you need to use them. And let them work their magic for you! Now, let me teach you how to use Bucket Brigades. First, find sections within your content where your visitors will want to exit your page. Why? Because you already gave them information. It’s information they NEED. If you don’t have any value left to offer, they will do the practical thing. And that is to leave. So, don’t give them a reason to leave. Instead, give them a Bucket Brigade. Here, this is how I used a Bucket Brigade earlier. And focus on this part. If you click it, you can tweet the blog post! And you want this because it can raise your blog post’s fame. No doubt, it’s an incredible time-saver. People won’t have to go to Twitter to share your awesome blog post. They can remain where you are and make it happen! To create clickable tweets, I use a tool called Social Warfare. Its click-to-tweet feature is very handy. I can create eye-catching clickable tweets. And the process is FAST and EASY! Another reason I turn to Social Warfare is its other winning features. This includes social sharing, lazy load, and share recovery! They stand for Latent Semantic Index-based keywords. They are words related to your main keyword. They can be substitutions and synonyms – or anything related! For example, your main keyword is “problogger”. So, some of the LSI keywords you can include are “blogging jobs” and “Darren Rowse”. This is a brilliant way of avoiding redundancy. It also helps your post rank higher for your keyword. And it’s not only good for you. It’s good for your readers, too! If you mention the same words over and over again, people get tired of listening to you. Yes – even if you have plenty more of good things to say. So, do you shut up? You let LSI keywords come to your rescue. They can make important points pop out! To create callout boxes, use a WordPress plugin called Shortcodes Ultimate. Download the plugin and go the text editor. Assuming that you’re using Gutenberg, click on the plus icon to add a block and select Widgets > Shortcode. The click on the Shortcode icon to insert a shortcode using the plugin. You will then see a plethora of shortcodes you can include in your post. Enter “box” on the search bar to narrow down the choices to the box shortcode. Click on it to open the box option. Scroll down the page to find the text area where you can enter the content inside the box. Then type your text there. Click “Insert shortcode” if you’re confident with the box. If not, click “Live preview” to see how it looks like first before including it on your article. You can edit the header color to reflect your blog’s brand. Either way, the box shortcode should help the most important parts of your content pop up! If you want to supercharge your blog post, you can use the plugin to create cool elements like buttons, tabs, sliders and carousels, and more. As you develop your outline, you should know the purpose of your article already. If it wasn’t clear at the start, it should be now! So, what should your Call-to-Action be? Will you encourage buyers with a BUY NOW button? Will you ask readers to CLICK HERE to redirect them to another page? Or will you invite them to sign up to your email list with a SUBSCRIBE NOW button? Your CTA is up to you. So there you have – 18 detail-oriented and actionable steps to help you write content that will engage and convert your readers. As long as you follow the tips above to a tee, you won’t go wrong! Mind you, writing great content is just part of the battle. 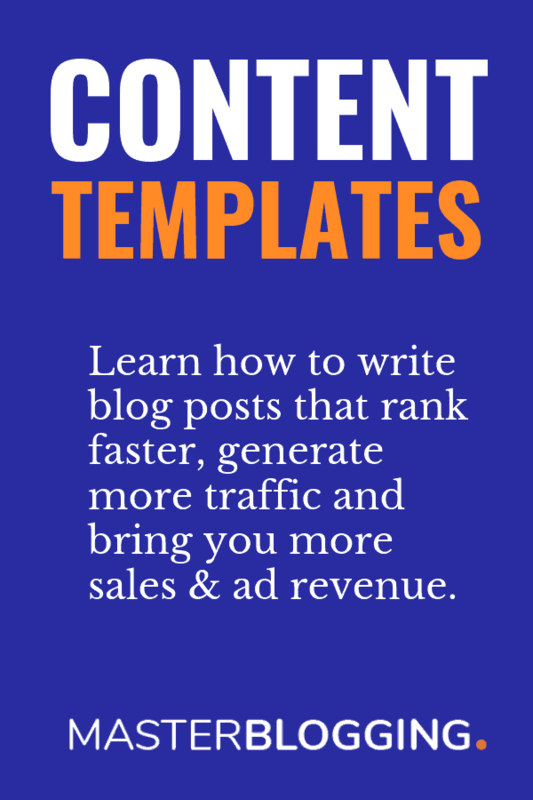 You’ll still have to hands full in promoting your content, tracking its performance, and other tasks to ensure that it drives traffic to your blog. Right now, however, you can just sit back and revel at the masterpiece you just wrote. How about you – are there any additional tips you can add to our readers on how to write quality content? Chime in with by commenting below! Thanks for sharing your writing secrets with us. Agree with your views and am doing almost all as you told. Am a bit lazy in keyword research, I just used to write the posts with my familiar topics. But am sure, my posts are good quality and I’ve done the basic optimization. It is imperative for the bloggers to add an eye catchy title with appropriate information and pictures. Thanks Ankit for publishing this awesome post for us. It was worth reading. I’m still learning how to write quality content. I’m looking forward to write my own experiences in my articles as it makes the article more impressive. This guide really helped me. Thanks! No doubt blog title is most important thing. I like this line very much. Really heart touching line. Every point is best for writing Quality content. Anyway thanks dear for sharing such nice article here. Creating quality content has to do with many attribute which you have mentioned here on this article most especially a magnetized post title that serve as the first reason why visitors click on our blog post and followed by a well optimized post for search engine which is off paramount important in getting search engine traffic. Thanks for sharing this buddy! I define quality articles as something that proves itself the one stop for reader’s queries. If it can satisfy them or solve their problem, if it is easily accessible and clearly comprehensive, the post stands on quality. You’ve netted this post very beautifully and successful to grab the reader’s attention till the end. Expecting more of you in coming days as well. I also think that title is one the great factor. I agree with you in all of your points. Using great images in post will surely make visitors and readers more attractive. Write a resource if you are going to write at all. Quality content does a great job answering your target audience’s questions. Of course, you must answer the questions by using keywords in your post to target your audience in the first place. Thanks again for the super helpful post. Well done buddy! Great tips on how to write quality content. I have to admit I’m still learning how to write great content. However the more that I continue writing the better I seem to be getting. I also think that the blog title plays a huge role on whether or not people will actually take the time to read what you wrote. As for keyword research well I don’t do that for all my posts. I know I should but sometimes I just don’t want to go through the hassle of doing all the work. I know if I want to improve my search engine rankings I need to spend more time on it. I also think that sometimes readers get disappointed when they come to the blog after clicking on those title which is catchy and sounds interesting. Due not related topic it is obvious to leave that blog. The title suggest something different and the actual content is for the different purpose is force to people leave the blog. Glad to see you Ankit. Truely an exceptional piece of writing buddy. This is a perfect example how to write a lucrative yet quality blog post. I hope this would be useful for everyone including me. Blog title play an important role in attracting the people towards your blog and when your are optimizing it too then you can get better results. Keyword research also matter for your blog niche. All other tips will give you plus point then your doing this. This is worth reading post to write better, better and better. Thanks for sharing it. Headings are indeed one of the most important part of a post. They can tempt a reader to read the article or force a reader to skip it. Catchy headings are really helpful in increasing the traffic. Additionally, the focus should be on writing content in such a way that it helps people. If we can help people in any way, it will be a win-win situation. That was an amazing article which let me know how to attract the visitors. Yes, the title of the article is the one criteria which attracts visitors, so keeping it catchy will help us to drive more traffic. And also writing for people query and giving them a solutions will again add up to our visitors count. So always write for people and earn more loyal readers. Simply a Great Blog Post, I think that’s why your blog post get very good rank on search engines ranking pages, it will really help newbies, those have just started blogging. I would like to share one more thing about this blog post, great image you have used. Very informative post indeed. Quality content is a must for every blogger and if that content is properly optimized for search engines, then it can do wonders. Optimizing your blog posts is very necessary for good search engine rankings but sometimes over optimization and excessive use of keywords results in a bad quality content. So, its better to strike a balance between post readability and optimization. Thanks for sharing this information Ankit. I think you need to write about a topic you have deep knowledge over and are passionate about. It reflects in your writing. Offer readers something they can’t find elsewhere and don’t offer the standard BS that is plastered all over the place. so far I have not been up to use it. I will try to use it, and thank you for your article, very useful for me. It taught me that i should be brief and simple with my ideas when it comes to sharing it with people. I thank you for sharing such stuff to attract users in a short span of time.. Your suggestion for writing a quality content is great. All points a re useful and beneficial for me. thank you for sharing this post with us. Great article. I always look for this kind of articles. Really it was useful. Sometimes it happens that I get no idea. This article will be helpful for me whenever I get no idea. Thansk for a great article. Inputs are most important for make our blog success.You insert some points like Researching for a topic, Writing headlines, Writing the researched data into a well-formatted post etc give be best method of writing.I will follow your method.I like to see some other suggestions from this site.Keep sharing other information. Very informative post. Quality content is a must for every blogger and if that content is properly optimized for search engines, then it can do wonders. Awesome post, really informative and helpful to write quality content. Serioulsy, you shared a ultimate guide to write quality content on the blog. You covered all the points to develop a quality content. Hey Amit, i have tried writing the article before, now i came to know where i was going wrong after reading your post. I guess, before writing the article one should have all the plan about the content and the points to be covered. Also using various graphics, colors and font types can make the article as quality article and easy to understand. Looking for more updates, thanks for the share. You have done a great job. It was more than interesting and informative. Great tips to produce high quality content. I think nothing can beat the quality content for a blog. All these tips will help me a lot because am looking for some great tips and tricks about writing the awesome blogs for my readers. Your website is the best destination for this. Thanks Ankit, you are always there for me. Thanks for the precious informations Ankit ! I read your whole article and find the information best among all, and I love the Long tail keyword technique. It helps you to find the weak competition ground and to write a unique content.